5 Seconds of Summer‘s new single may be called “Valentine,” but its accompanying visual is much more Halloween-esque than anything related to V Day. 5SOS drummer Ashton Irwin gets co-directing credit — alongside Andy DeLuca — on the stark, artsy vid, which hit YouTube on Thursday (September 13). It basically looks like the Queen II album cover come to life, with a few psychedelic touches thrown in, including eerie shots of desserts and instruments. 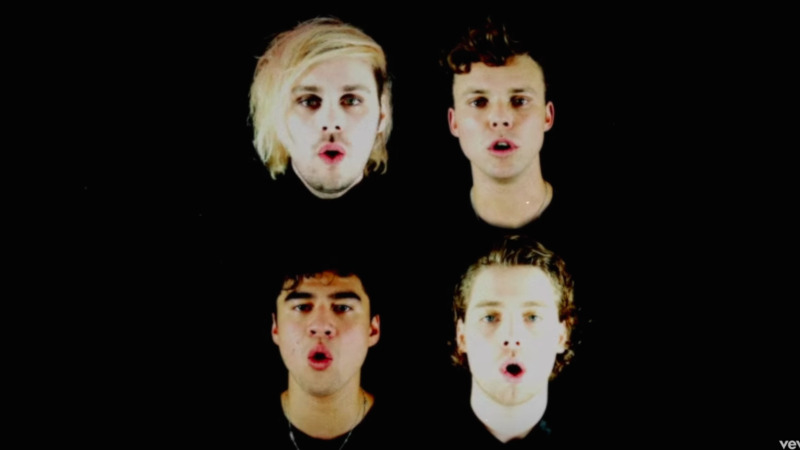 Irwin, Luke Hemmings, Michael Clifford, and Calum Hood bare their bones (literally) as dancing skeletons, and there are a lot of close-ups of the guys’ mouths and eyes. That’s great news for anyone who ever wanted to see Hemmings rock glittery gold eyeshadow, which he handily pulls off. Check out the spooky, groovy vid below, and consider yourself properly prepped for Halloween season. “Valentine” is the latest single off of 5SOS’s chart-topping third album, Youngblood. The Aussie band recently kicked off the North American leg of its Meet You There tour, which continues through mid-October before hitting Europe. Here’s hoping they resurrect those skeleton costumes at least once on stage this fall.